Start Smart is aimed at helping newly licensed - or soon to be licensed - teenage drivers (ages 15-19) become more aware of the responsibilities that accompany the privilege of being a licensed California driver. The newly licensed teenage driver and their parents/guardians are invited to attend and participate in a free 2 hour long Start Smart class usually hosted at a local California Highway Patrol (CHP) office. CHP officers speak directly to the newly licensed driver and their parents/guardians through candid conversations, discussing topics such as collision avoidance techniques along with collision causing elements such as excessive speed, DUI, and distracted driving. Start Smart makes teens and parents aware of the responsibilities they face and teaches what precautions to take to stay safe; such as the importance of seat belt unsafe, passengers in the vehicle and what to do when involved in a collision. 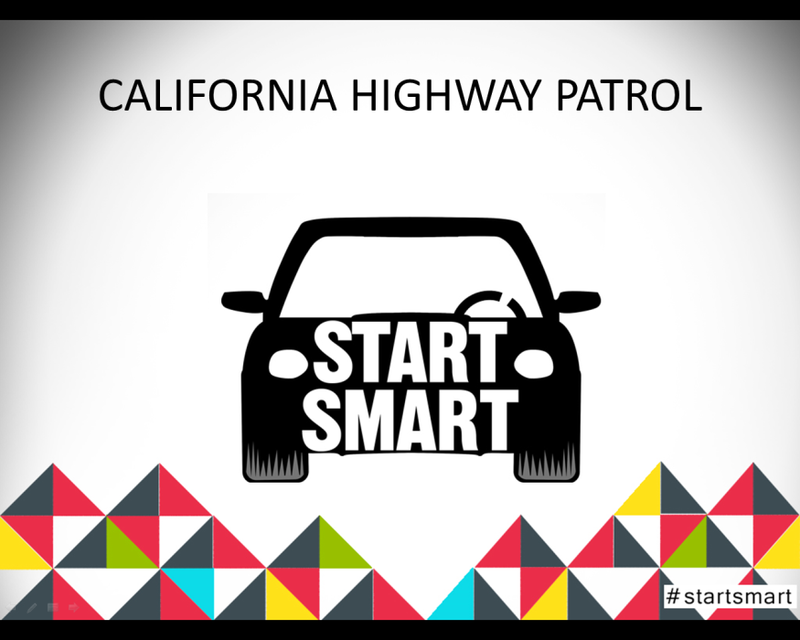 The local California Highway Patrol Office in your area can be contacted for more information regarding the Start Smart program and classes. You can also get more information online at https://www.chp.ca.gov/programs-services/programs/youth-programs/start-smart-driving-smart-to-stay-safe, or contact the State Start Smart grant coordinator, Officer Robert Lawson, at (916) 843-3043. 1. Visit the Start Smart website for more information on the program. 2. Contact your local CHP office for help in hosting this program at your school. 1. Host the Start Smart program at your school.